Kupferorange, Size 2 Julius-K9 IDC® Powerharness - Las Vegas K9 Inc.
-Girth: 28 - 37.5 in. -Weight: 61 - 8 lbs. For more information on FREE labels CLICK HERE, please read it! Thanks to a major development of the IDC Powerharness the chest strap forwards the power lines of the leash with almost no breakage. The high-quality buckles of an IDC-Powerharness are permanently tested and checked. This careful attention worth especially in wintertime: these buckles work perfectly and don't break even in frosty weather. 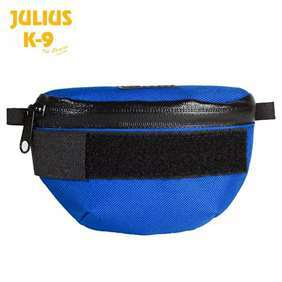 There are about 600 different Velcro labels on stock, but you can order also a customized one especially for your dog. 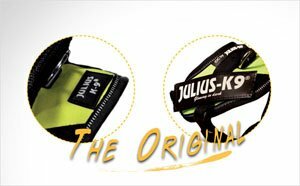 The IDC-Powerharness comes complete with a pairs of fluorescent JULIUS-K9 series label which glows in the dark. One of the important functions of an IDC-Powerharness is that it works well also as a visibility vest. 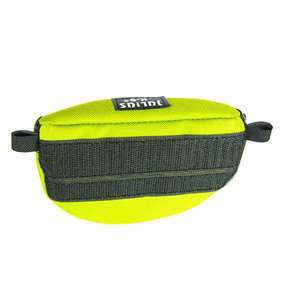 The grey line of the chest strap and the edges of the harness are made of reflective materials, so the walking dog is visible in the dark even from a bigger distance. Highest quality certified by independent crash test. 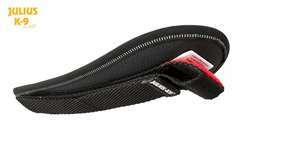 The buckle of the product has opened at 300 kg, but the harness itself did not break. 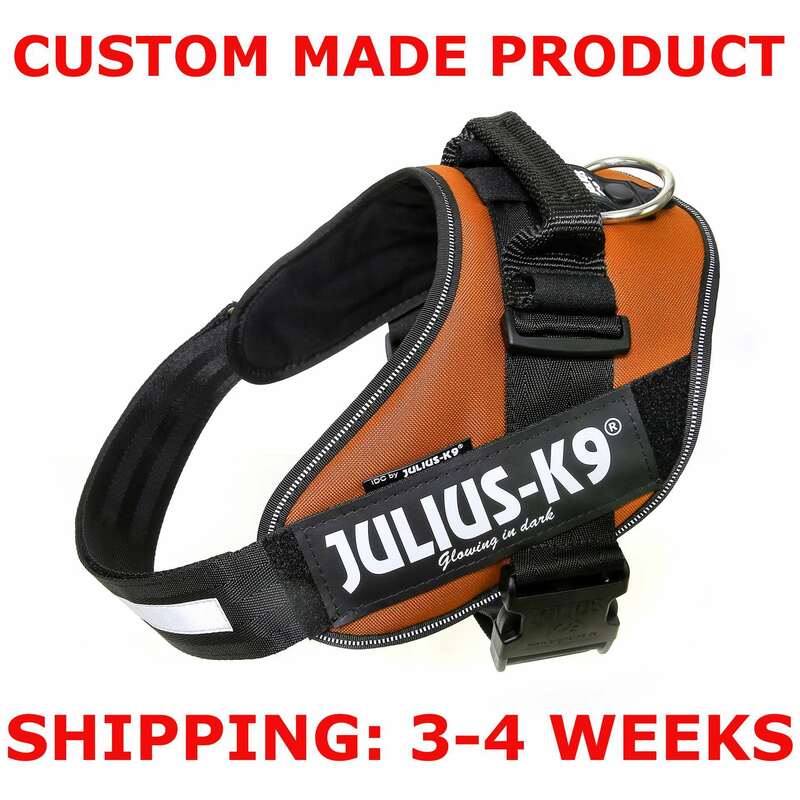 The following two brand marks guarantee you that you have bought an original JULIUS-K9®product. Do not Machine wash! By hand at 40°C or lower. 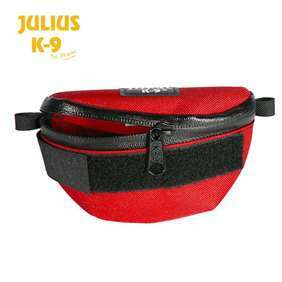 Julius-K9 Chest Pad for Size 1-2 harnesses, including K9 Powerharnesses! Check out our harnesses that this chestpad fits! Harness colors Size 1 HERE! Harness colors Size 2 HERE! 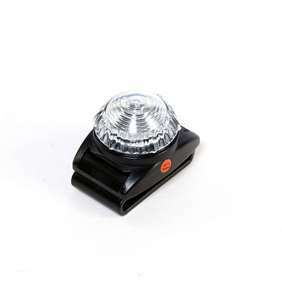 The phosphorescent Velcro label -4.3 x 1.2"